You are currently browsing the category archive for the ‘Decks’ category. 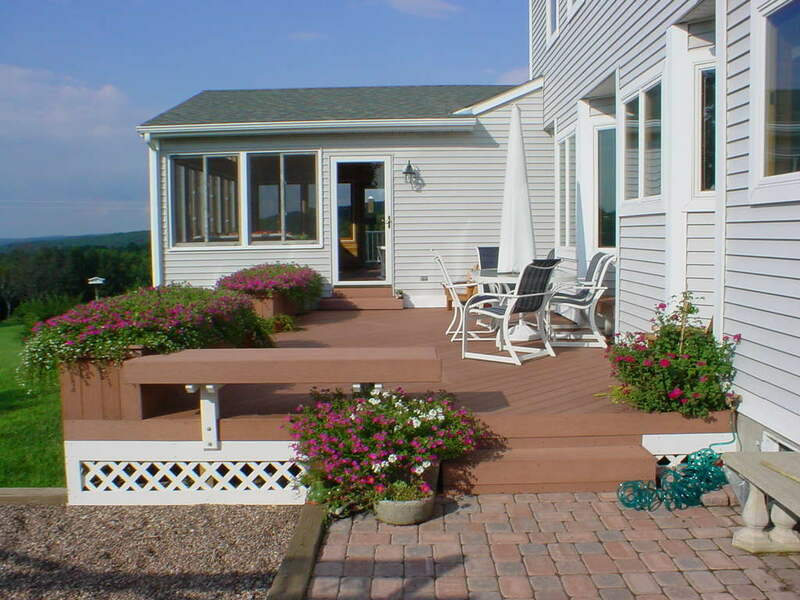 Thinking about adding a backyard deck to your home this year? 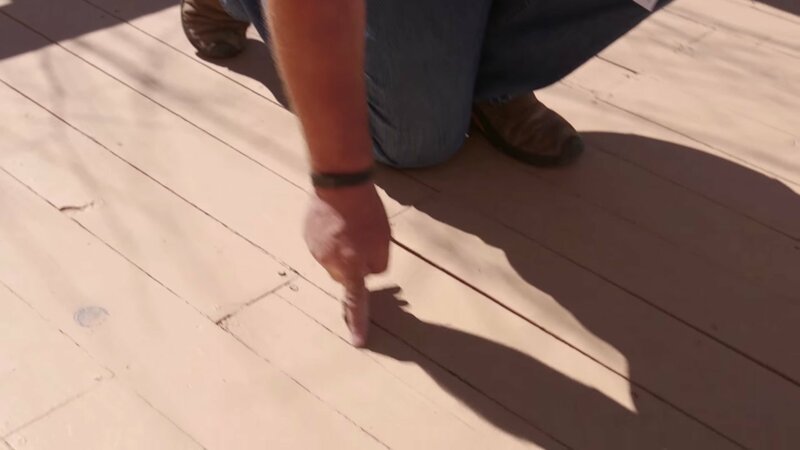 Wondering how to avoid the builder-grade, cookie-cutter look without spending a fortune? 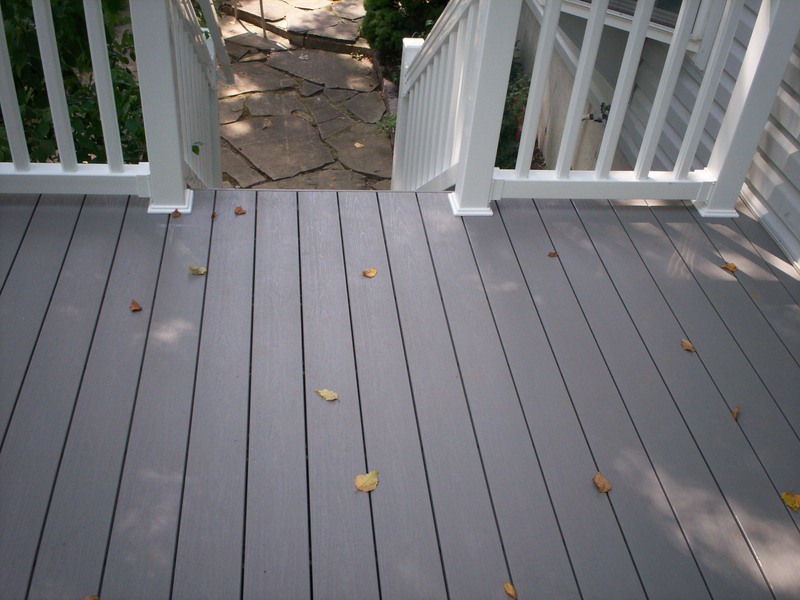 Whether you’re seeking a little or a lot of customization, we’ve got some great ideas for you when it comes to deck design. 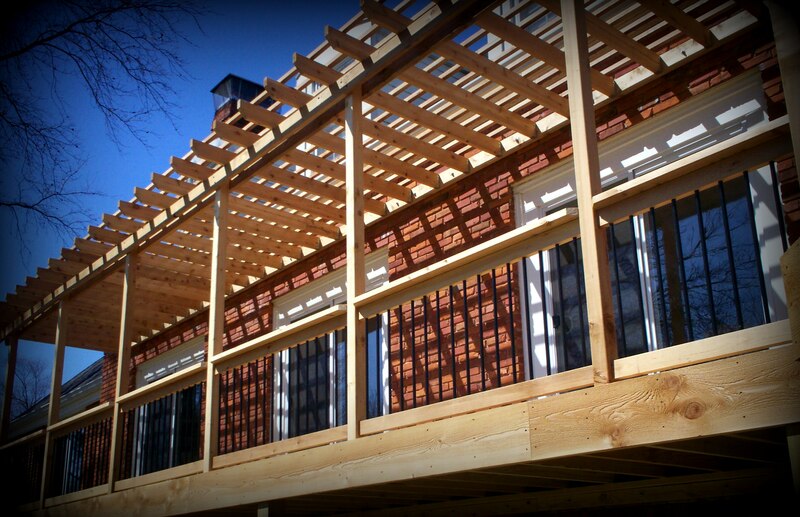 Cedar remains a popular option when it comes to adding a deck, screen porch or pergola. Why? 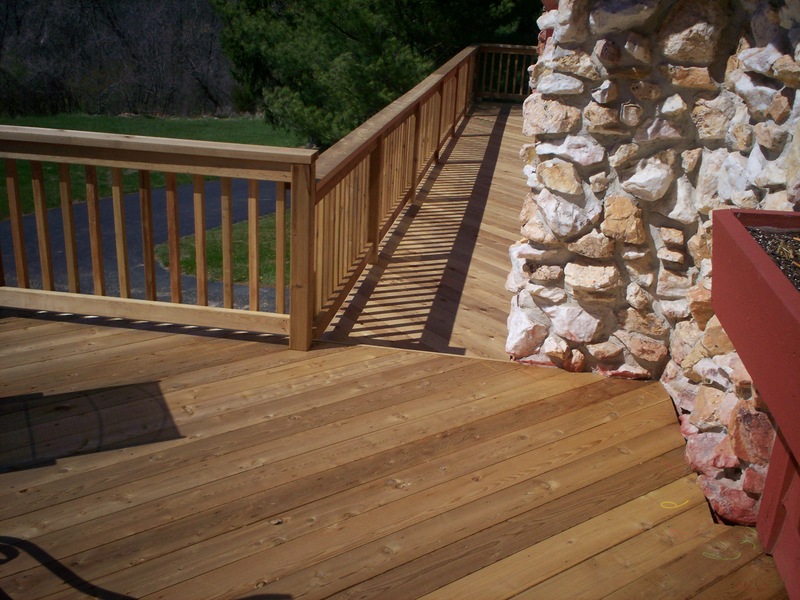 Because cedar is a time-tested, good-lookin’ outdoor building material with a reasonable price-tag too. 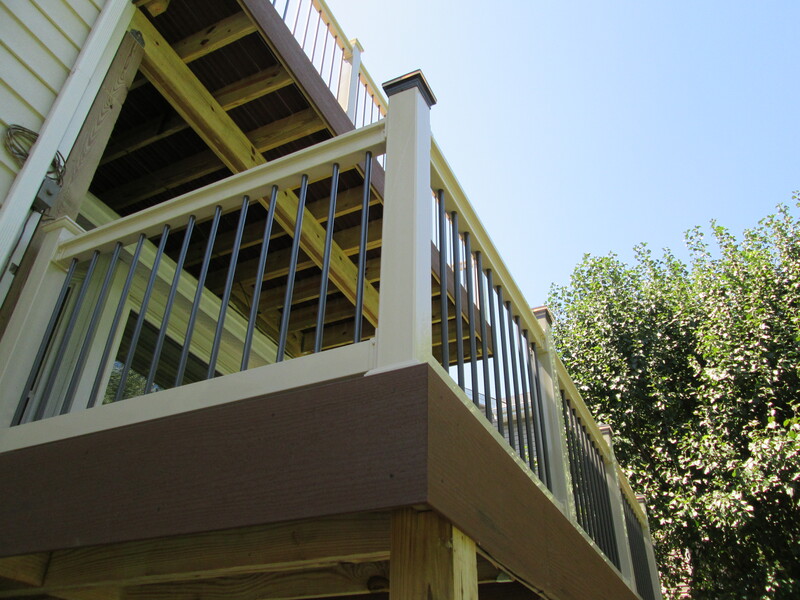 And what about the railing for a cedar deck? 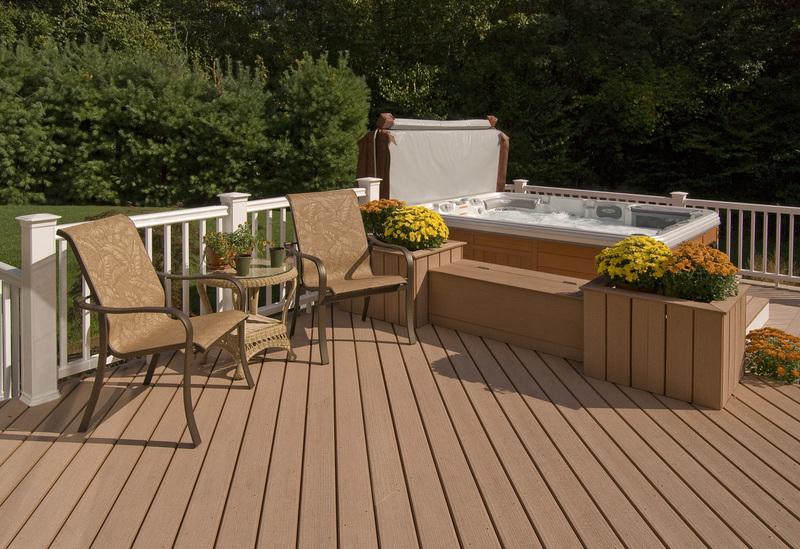 Choosing cedar boards doesn’t require you to choose cedar rails. 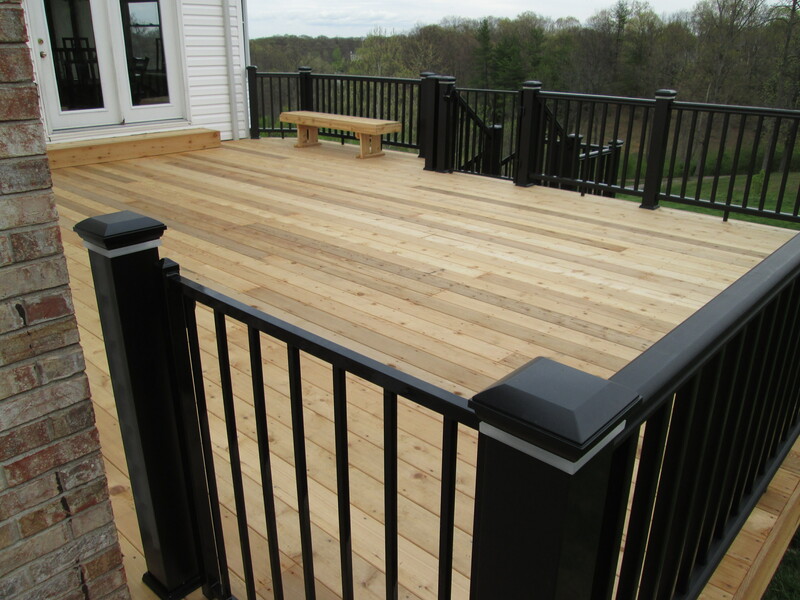 In fact, different rails are a way to transform the style of a traditional cedar structure with diverse color and material.